The enemy is close and your battery is our last hope! 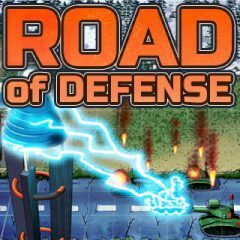 Plan your defence and build the hangars, bunkers and rocket launchers to resist the enemy. Don't let them harm civil people and stop every tank that is heading your way. You were not prepared for this invasion, so the quantity of enemy tanks exceeds yours and there is no chance you can defeat them at the equal fight. However, you can still build a smart defence to stop the invasion and reduce the amount of tanks that the enemy has. Build the bunkers, hangars and rocket launchers to resist the enemy and don't forget to call for air strike or the help of artillery.